Customer service is one of the most important aspects of a law firm. Keeping your client happy and confident in your skills will improve your firm’s reputation. If you’d like to learn how customer service can help your law firm marketing strategies, keep reading. The most important part of maintaining good quality legal care is making sure you know your client’s case inside and out. One of the worst things a lawyer can be is uninformed. Follow every lead. 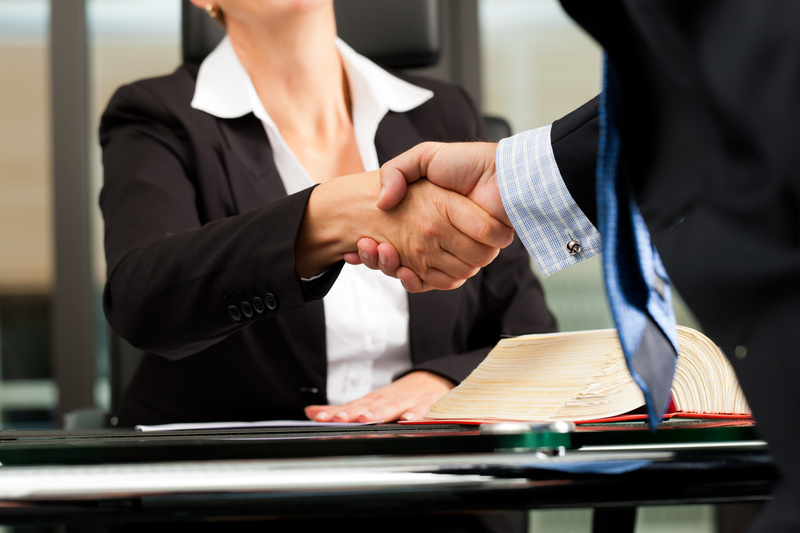 Discuss every aspect of the case with your client when you can. Research will make or break any case. If you find yourself floundering and not able to clearly relate one aspect of the client’s issues, it’s time to go back to the drawing board and get more information. Clients will appreciate a thorough investigation. Another thing to keep in mind is keeping your client in the loop. Being sure to keep them apprised of every step in a court case will keep them informed. It will also keep them from getting anxious or disappointed. It doesn’t hurt to sit down with them every now and then and walk them through the next portion of their case. Sending an email is easy and quick too. Letting your client know you’re serious about them and you care about the outcome of the case is important for good quality control. Everyone jokes that lawyers are cold-blooded. But being a lawyer who is sympathetic to a client’s cause will do wonders to your reputation. Listen to their troubles and be empathetic to the level of stress and angst they’re feeling. Being compassionate about a client’s serious problems will go long ways in gaining their trust. It will also improve your overall customer service. Don’t be afraid to show a little emotion with the people who are coming to you for aid. This goes hand-in-hand with a lot of the other issues we’ve covered. But it’s always important to keep an open communication policy between yourself and your client. You won’t be able to figure out every twist and turn of your case if your client isn’t upfront with you about their issues. But they won’t be upfront with you if they don’t trust you. Making sure you start with a clear and relaxed dialogue will help keep you ahead of the game and ultimately keep your client happy with your leadership. None of us like red tape. Consider adopting an e-signature signing policy. This allows your client to fill out the proper documentation quickly and efficiently from the comfort of their homes or offices. Simplifying the bureaucratic process will help keep your clients organized. It will also help reassure them that you’re on top of their case. If you’re looking for more ways to improve your law firm’s reputation, contact us today. We can provide more advice on law firm marketing we’re sure you’ll find useful, as you set up your firm’s online presence.